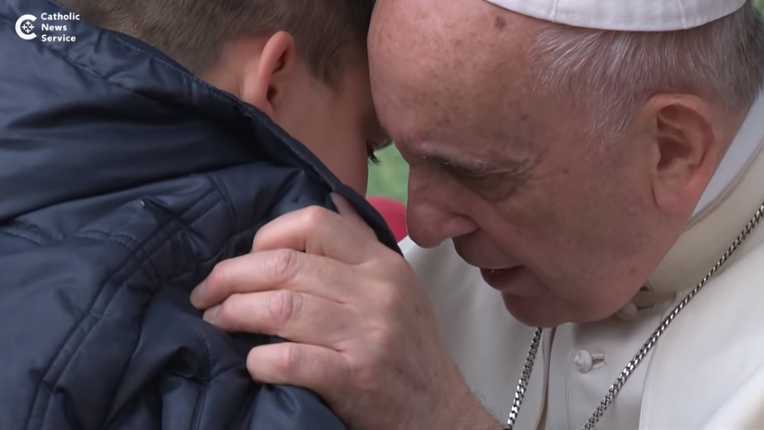 ROME — Jorge Bergoglio, also known as “Pope Francis,” claimed to a young boy on Sunday that his atheist father is in Heaven because he was a “good man” and God will not “abandon His children when they are good.” He also counseled the child to pray to his deceased dad. Bergoglio was participating in a question and answer session at St. Paul of the Cross in Rome when a young boy named Emanuele approached the microphone. The boy, who began to cry, was asked by Bergoglio to come onto the platform and speak the question in his ear. After consoling the child, Bergoglio told the audience what the boy had said. “My father died a short time ago. He was an atheist, but he had his four children baptized. He was a good man. Is Dad in Heaven? '” Emanuele asked, as relayed by Bergoglio. He suggested that God was pleased with Emanuele’s father for having his sons baptized despite not being a follower of Christ himself. “And with a dad who was not a believer, but who baptized his children and gave them that bravura, do you think God would be able to leave him far from Himself?” Bergoglio asked, using a pushing away hand motion. Those in attendance again called out no. He closed by urging Emanuele to “talk to” and “pray to” his father. 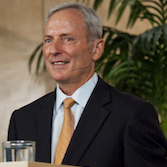 Mike Gendron, a former Roman Catholic who now leads the Texas-based Proclaiming the Gospel Ministries, told Christian News Network that Bergoglio could have spoken truth while still being gentle, but instead he provided the boy—and anyone who hears his words—with unbiblical false counsel. Gendron explained that contrary to Bergoglio’s words, Scripture clearly states that not everyone is God’s child. Gendron additionally expressed concern that Bergoglio urged the boy to pray to his deceased father. “Perhaps the pope does not know that anyone who consults the dead is detestable to the Lord (Deut. 18:10-12),” he said. As previously reported, Christianity teaches that none are inherently good, and that all men are born with a sinful nature, being drawn toward distorted desires, such as to lie, steal, commit adultery, covet, dishonor one’s parents, commit murder, and to rebel against the very God who gave them life. Jesus outlined that lust is adultery of the heart and hatred is murder in one’s heart.